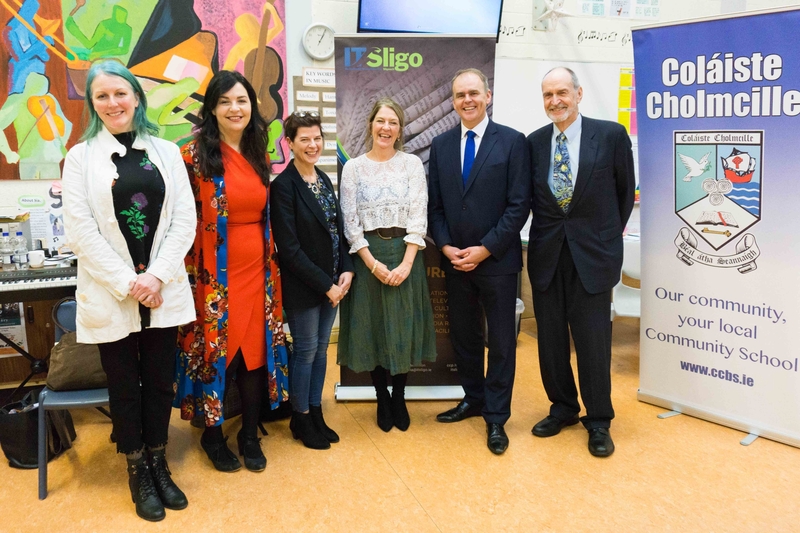 Last Friday, the recently appointed Minister for Education & Skills, Joe Mc Hugh, visited Ballyshannon to speak to students from both sides of the border who were taking part in arts workshops organised by Sligo IT, the Allingham Festival and Coláiste Cholmcille, Ballyshannon. 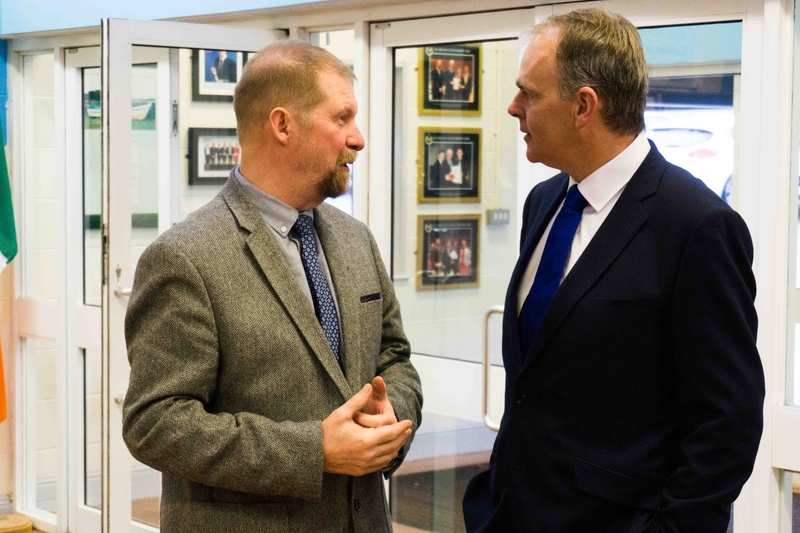 The first stop on the minister's visit to Ballyshannon was Coláiste Cholmcille, where he was welcomed by Head Girl Ana Keon, principal Jimmy Keogh and the chairperson of the Allingham Arts Festival Tom Sigafoos. After a brief chat, he called in to the feedback session from the workshops which had been delivered by four lecturers from the BA in Writing and Literature at Sligo IT to over sixty Leaving Cert and Transition Year students. Later ar the Abbey Arts Centre Minister Mc Hugh was greeted by students from St. Michael's College and the Grammar School, both from Enniskillen, and Coláiste Cholmcille students, all of whom were there to attend the talk on poetry, art and writing by Niall Mac Monagle. He told the young people that they were not just the leaders of tomorrow but the leaders of today. He also acknowledged the work of the festival organisers for promoting the arts to schools from both sides of the border.